We are one of the most prominent suppliers of the Tafero EM Tablets. This comes with the composition of Tenofovir alfanamide 25mg + Emtricitabine 200mg tablets. Tafero em 200mg/25mg tablet is used in the treatment of hiv infection. How to use tafero em tablettake this medicine in the dose and duration as advised by your doctor. Swallow it as a whole. Do not chew, crush or break it. 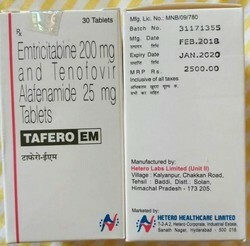 Tafero em 200mg/25mg tablet is to be taken with food.How tafero em tablet workstafero em 200mg/25mg tablet is a combination of two anti-hiv medicines: emtricitabine and tenofovir disoproxil fumarate. They prevent hiv (virus) from multiplying, thereby reducing the amount of virus in your body. They also increase the cd4 cell (white blood cells that protect against infection) count in your blood.Tafero em tablet related warningsalcoholinteraction with alcohol is unknown. Please consult your doctor.Pregnancyprobably safetafero em 200mg/25mg tablet is probably safe to use during pregnancy. Animal studies have shown low or no adverse effect on the foetus, however, there are limited human studies. Please consult your doctor. Lactationtafero em 200mg/25mg tablet is probably safe to use during lactation. Limited human data suggests that the drug does not represent a significant risk to the baby. Drivingtafero em 200mg/25mg tablet may make you feel dizzy, sleepy, tired, or decrease alertness. If this happens, do not drive. Kidneycautiontafero em 200mg/25mg tablet should be used with caution in patients with kidney disease. Dose adjustment of tafero em 200mg/25mg tablet may be needed. Please consult your doctor.Livertafero em 200mg/25mg tablet is probably safe to use in patients with liver disease. Limited data available suggests that dose adjustment of tafero em 200mg/25mg tablet may not be needed in these patients. Please consult your doctor. Positioning ourselves to meet variegated market demands, we are readily engaged as trader, supplier, and exporter of Her best 25mg Tenofovir Alafenamide Tablets in New Delhi, Delhi, India. Tenofovir is also used to treat chronic (long term) HBV in adults and children 12 years of age and older. Tenofovir is in a class of medications called nucleoside reverse transcriptase inhibitors (NRTIs). It works by decreasing the amount of HIV and HBV in the blood. How tenofovir alafenamide works:Tenofovir Alafenamide is an antiviral medication. It prevents the multiplication of the virus in human cells. This stops the virus from producing new viruses and clears up your infection. Common side effects of tenofovir alafenamide:Diarrhea, Vomiting, Nausea, Dizziness, Rash, Feeling sick. We are one of the leading exporter suppliers and dropshipper of antiretroviral drug. Uses of synthivan tablet synthivan tablet is used in the treatment of hiv infection. How to use synthivan tablett ake this medicine in the dose and duration as advised by your doctor. Swallow it as a whole. Do not chew, crush or break it. Synthivan tablet is to be taken with food. 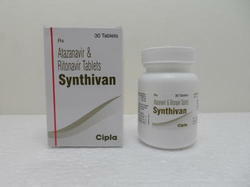 How synthivan tablet works synthivan tablet is a combination of two anti-hiv medicines: atazanavir and ritonavir. They work by interfering with an enzyme (protease), which is required by hiv-infected cells to make new viruses. This stops the production of new viruses. Synthivan tablet related warnings alcoholinteraction with alcohol is unknown. Please consult your doctor.Pregnancyprobably safe synthivan tablet is probably safe to use during pregnancy. Animal studies have shown low or no adverse effect on the foetus, however, there are limited human studies. Please consult your doctor.Lactationsynthivan tablet is probably safe to use during lactation. Limited human data suggests that the drug does not represent a significant risk to the baby. Drivingsynthivan tablet may make you feel dizzy, sleepy, tired, or decrease alertness. If this happens, do not drive.Kidneysynthivan tablet is probably safe to use in patients with kidney disease. Limited data available suggests that dose adjustment of synthivan tablet may not be needed in these patients. Please consult your doctor. Livercautionsynthivan tablet should be used with caution in patients with liver disease. Dose adjustment of synthivan tablet may be needed. Please consult your doctor. Use of synthivan tablet is not recommended in patients with moderate and severe liver disease. Tenvir Tablet Is Used In The Treatment Of Hiv Infection And Chronic Hepatitis B Virus (Hbv) Infection. Take This Medicine In The Dose And Duration As Advised By Your Doctor. Swallow It As A Whole. Do Not Chew, Crush Or Break It. Tenvir Tablet Is To Be Taken With Food. Tenvir Tablet Is An Antiviral Medication. It Prevents The Multiplication Of Virus In Human Cells. This Stops The Virus From Producing New Viruses And Clears Up Your Infection. Diarrhea, Vomiting, Nausea, Dizziness, Rash, Feeling Sick. 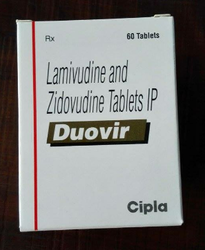 Usage/Application Lamivudine+Zidovudine+Nevirapine is used in the treatment of HIV infection. HOW TO USE DUOVIR N TABLETTake this medicine in the dose and duration as advised by your doctor. Swallow it as a whole. Do not chew, crush or break it. Duovir N Tablet may be taken with or without food, but it is better to take it at a fixed time.HOW DUOVIR N TABLET WORKSDuovir N Tablet is a combination of three antiviral medicines: Lamivudine, Zidovudine and Nevirapine. They work by preventing HIV (virus) from multiplying, thereby reducing the amount of virus in your body. They also increase the CD4 cell (white blood cells that protect against infection) count in your blood.DUOVIR N TABLET RELATED WARNINGSAlcoholInteraction with alcohol is unknown. Please consult your doctor.PregnancyWEIGH RISKS VS BENEFITSDuovir N Tablet may be unsafe to use during pregnancy. Animal studies have shown adverse effects on the foetus, however, there are limited human studies. The benefits from use in pregnant women may be acceptable despite the risk. Please consult your doctor.LactationDuovir N Tablet is probably safe to use during lactation. Limited human data suggests that the drug does not represent a significant risk to the baby.DrivingDo not drive unless you are feeling well. You may experience fatigue while taking Duovir N Tablet and this may affect your ability to drive.KidneyCAUTIONDuovir N Tablet should be used with caution in patients with kidney disease. Dose adjustment of Duovir N Tablet may be needed. Please consult your doctor.LiverCAUTIONDuovir N Tablet should be used with caution in patients with liver disease. Dose adjustment of Duovir N Tablet may be needed. Please consult your doctor. Use of Duovir N Tablet is not recommended in patients with moderate to severe liver disease. Regular monitoring of liver function tests is advised while you are taking this medicine. 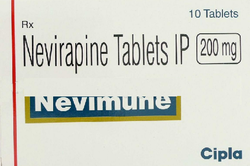 Uses of nevimune tablet is used in the treatment of hiv infection. How to use nevimune tablet take this medicine in the dose and duration as advised by your doctor. Swallow it as a whole. Do not chew, crush or break it. Nevimune tablet may be taken with or without food, but it is better to take it at a fixed time. How nevimune tablet worksnevimune tablet prevents the multiplication of hiv virus in human cells. Thus stops the hiv virus from producing new viruses. Nevimune tablet related warningsalcoholinteraction with alcohol is unknown. Please consult your doctor.Pregnancyprobably safenevimune tablet is probably safe to use during pregnancy. Animal studies have shown low or no adverse effect on the foetus, however, there are limited human studies. Please consult your doctor. Lactationnevimune tablet is probably safe to use during lactation. Limited human data suggests that the drug does not represent a significant risk to the baby. Drivingdo not drive unless you are feeling well. You may experience fatigue while taking nevimune tablet and this may affect your ability to drive. Kidneysafenevimune tablet is safe to use in patients with kidney disease. No dose adjustment of nevimune tablet is recommended. However, inform your doctor if you have any underlying kidney disease. Livercautionnevimune tablet should be used with caution in patients with liver disease. Dose adjustment of nevimune tablet may be needed. Please consult your doctor. Use of nevimune tablet is not recommended in patients with moderate to severe liver disease. Regular monitoring of liver function tests is advised while you are taking this medicine. We are one of the leading exporter suppliers and dropshipper of triomune tablets. 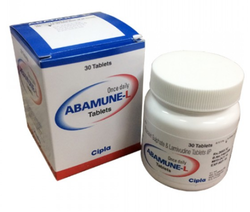 Uses of triomune tablet triomune 150mg/30mg/200mg tablet is used in the treatment of hiv infection. How to use triomune tablet take this medicine in the dose and duration as advised by your doctor. Swallow it as a whole. Do not chew, crush or break it. Triomune 150mg/30mg/200mg tablet is to be taken empty stomach. 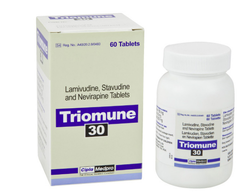 Take it preferably 1 hour before food.How triomune tablet works triomune 150mg/30mg/200mg tablet is a combination of three antiviral medicines: lamivudine, stavudine and nevirapine. They work by preventing hiv (virus) from multiplying, thereby reducing the amount of virus in your body. They also increase the cd4 cell (white blood cells that protect against infection) count in your blood.Triomune tablet related warnings alcohol interaction with alcohol is unknown. Please consult your doctor.Pregnancy weigh risks vs benefits triomune 150mg/30mg/200mg tablet may be unsafe to use during pregnancy. Animal studies have shown adverse effects on the foetus, however, there are limited human studies. The benefits from use in pregnant women may be acceptable despite the risk. Please consult your doctor.Lactation triomune 150mg/30mg/200mg tablet is probably safe to use during lactation. Limited human data suggests that the drug does not represent a significant risk to the baby. Driving do not drive unless you are feeling well. You may experience fatigue while taking triomune 150mg/30mg/200mg tablet and this may affect your ability to drive. Kidney caution triomune 150mg/30mg/200mg tablet should be used with caution in patients with kidney disease. Dose adjustment of triomune 150mg/30mg/200mg tablet may be needed. Please consult your doctor.Liver triomune 150mg/30mg/200mg tablet is probably safe to use in patients with liver disease. Limited data available suggests that dose adjustment of triomune 150mg/30mg/200mg tablet may not be needed in these patients. Please consult your doctor. Inform your doctor if you develop any signs and symptoms of jaundice while taking triomune 150mg/30mg/200mg tablet. You may need to stop taking this medicine. 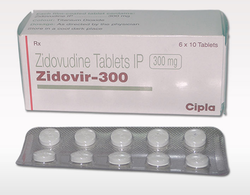 Zidovir 300 mg tablet is used in the treatment of hiv infection. How to use zidovir tablettake this medicine in the dose and duration as advised by your doctor. Swallow it as a whole. Do not chew, crush or break it. Zidovir 300 mg tablet may be taken with or without food, but it is better to take it at a fixed time.How zidovir tablet workszidovir 300 mg tablet is an antiviral medication. It prevents the multiplication of virus in human cells. This stops the virus from producing new viruses and clears up your infection.Zidovir tablet related warningsalcoholinteraction with alcohol is unknown. Please consult your doctor.Pregnancyweigh risks vs benefitszidovir 300 mg tablet may be unsafe to use during pregnancy. Animal studies have shown adverse effects on the foetus, however, there are limited human studies. The benefits from use in pregnant women may be acceptable despite the risk. Please consult your doctor.Lactationzidovir 300 mg tablet is probably safe to use during lactation. Limited human data suggests that the drug does not represent a significant risk to the baby.Drivingzidovir 300 mg tablet may make you feel dizzy, sleepy, tired, or decrease alertness. If this happens, do not drive.Kidneyzidovir 300 mg tablet should be used with caution in patients with severe kidney disease. Dose adjustment of zidovir 300 mg tablet may be needed. Please consult your doctor.Livercautionzidovir 300 mg tablet should be used with caution in patients with liver disease. Dose adjustment of zidovir 300 mg tablet may be needed. Please consult your doctor. Use of zidovir 300 mg tablet is not recommended in patients with moderate to severe liver disease.What if you miss a dose of zidovir tablet?If you miss a dose of zidovir 300 mg tablet, take it as soon as possible. However, if it is almost time for your next dose, skip the missed dose and go back to your regular schedule. Do not double the dose. Dydrogesterone is used in miscarriage, female infertility, pain during menstruation, endometriosis, amenorrhea, abnormal uterine bleeding and premenstural syndrome.How dydrogesterone worksdydrogesterone is a progestin (female hormone). It works by correcting the levels of progesterone, thereby stimulating the lining of the uterus to prepare for a pregnancy and protect an existing pregnancy. 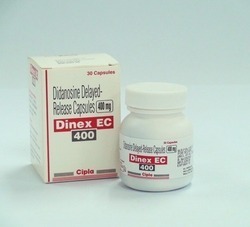 This helps in the treatment of infertility and prevents spontaneous abortion (miscarriage).Common side effects of dydrogesteroneedema (swelling), abdominal bloating, anxiety, irritability, depression, muscle pain how to use duphaston tablettake this medicine in the dose and duration as advised by your doctor. Swallow it as a whole. Do not chew, crush or break it. Duphaston 10 mg tablet may be taken with or without food, but it is better to take it at a fixed time. 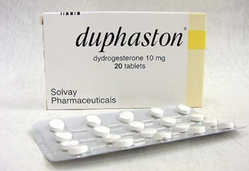 How duphaston tablet worksduphaston 10 mg tablet is a progestin (female hormone). It works by correcting the levels of progesterone, thereby stimulating the lining of the uterus to prepare for a pregnancy and protect an existing pregnancy. This helps in the treatment of infertility and prevents spontaneous abortion (miscarriage).Duphaston tablet related warningsalcoholinteraction with alcohol is unknown. Please consult your doctor.Pregnancyunknown. Human and animal studies are not available. Please consult your doctor.Lactationsafeduphaston 10 mg tablet is safe to use during lactation. Human studies have shown that either the drug does not pass into the breastmilk in significant amount or is not expected to cause toxicity to the baby.Drivingsafeduphaston 10 mg tablet does not usually affect your ability to drive.Kidneythere is limited information available on the use of duphaston 10 mg tablet in patients with kidney disease. Please consult your doctor.Livercautionduphaston 10 mg tablet should be used with caution in patients with liver disease. Dose adjustment of duphaston 10 mg tablet may be needed. Please consult your doctor. Use of duphaston 10 mg tablet is not recommended in patients with severe liver disease. 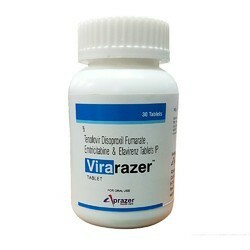 How to use efavir tablettake this medicine in the dose and duration as advised by your doctor. Swallow it as a whole. Do not chew, crush or break it. 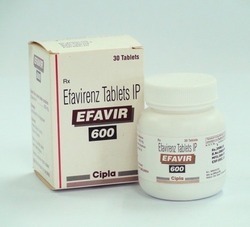 Efavir 600 tablet is to be taken empty stomach.How efavir tablet worksefavir 600 tablet prevents the multiplication of hiv virus in human cells. 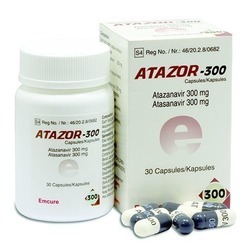 Thus stops the hiv virus from producing new viruses.Efavir tablet related warningsalcoholcautiontaking efavirenz with alcohol may cause liver problems.Pregnancyweigh risks vs benefitsefavir 600 tablet is unsafe to use during pregnancy. There is positive evidence of human fetal risk, but the benefits from use in pregnant women may be acceptable despite the risk, for example in life-threatening situations. Please consult your doctor.Lactationefavir 600 tablet is probably safe to use during lactation. Limited human data suggests that the drug does not represent a significant risk to the baby.Drivingefavir 600 tablet may make you feel dizzy, sleepy, tired, or decrease alertness. If this happens, do not drive.Kidneyefavir 600 tablet is probably safe to use in patients with kidney disease. Limited data available suggests that dose adjustment of efavir 600 tablet may not be needed in these patients. Please consult your doctor.Livercautionefavir 600 tablet should be used with caution in patients with liver disease. Dose adjustment of efavir 600 tablet may be needed. Please consult your doctor. Use of efavir 600 tablet is not recommended in patients with moderate and severe liver disease. We are one of the leading exporter suppliers and dropshipper of daruvir tablet. 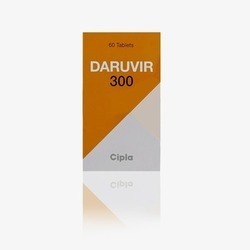 Uses of daruvir tablet daruvir 300 mg tablet is used in the treatment of hiv infection. How to use daruvir tablettake this medicine in the dose and duration as advised by your doctor. Swallow it as a whole. Do not chew, crush or break it. Daruvir 600 mg tablet is to be taken with food.How daruvir tablet worksdaruvir 600 mg tablet is an anti-hiv medication. It works by interfering with an enzyme (protease), which is required by hiv-infected cells to make new viruses. This stops the production of new viruses.Daruvir tablet related warningsalcoholinteraction with alcohol is unknown. Please consult your doctor.Pregnancyprobably safedaruvir 600 mg tablet is probably safe to use during pregnancy. Animal studies have shown low or no adverse effect on the foetus, however, there are limited human studies. Please consult your doctor.Lactationdaruvir 600 mg tablet is probably safe to use during lactation. Limited human data suggests that the drug does not represent a significant risk to the baby.Drivingdaruvir 600 mg tablet may make you feel dizzy, sleepy, tired, or decrease alertness. If this happens, do not drive.Kidneysafedaruvir 600 mg tablet is safe to use in patients with kidney disease. No dose adjustment of daruvir 600 mg tablet is recommended. Liverdaruvir 300 mg tablet should be used with caution in patients with severe liver disease. Dose adjustment of daruvir 600 mg tablet may be needed. Please consult your doctor. Limited information is available on use of daruvir 600 mg tablet in these patients. Dose adjustment may not be required in patients with mild to moderate liver disease. 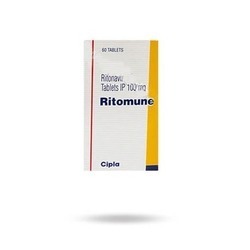 Ritomune 100 mg tablet is used in the treatment of hiv infection. How to use ritomune tablettake this medicine in the dose and duration as advised by your doctor. Swallow it as a whole. Do not chew, crush or break it. Ritomune 100 mg tablet is to be taken with food.How ritomune tablet worksritomune 100 mg tablet is an anti-hiv medication. It works by interfering with an enzyme (protease), which is required by hiv-infected cells to make new viruses. This stops the production of new viruses. Ritomune tablet related warningsalcoholinteraction with alcohol is unknown. Please consult your doctor. Pregnancy probably safer itomune 100 mg tablet is probably safe to use during pregnancy. Animal studies have shown low or no adverse effect on the foetus, however, there are limited human studies. Please consult your doctor.Lactationritomune 100 mg tablet is probably safe to use during lactation. Limited human data suggests that the drug does not represent a significant risk to the baby.Drivingit is not known whether ritomune 100 mg tablet alters the ability to drive. Do not drive if you experience any symptoms that affect your ability to concentrate and react.Kidneyritomune 100 mg tablet is probably safe to use in patients with kidney disease. Limited data available suggests that dose adjustment of ritomune 100 mg tablet may not be needed in these patients. Please consult your doctor.Liverritomune 100 mg tablet should be used with caution in patients with severe liver disease. Dose adjustment of ritomune 100 mg tablet may be needed. Please consult your doctor. Limited information is available on the use of ritomune 100 mg tablet in these patients. No dose adjustment is recommended in patients with mild to moderate liver disease.What if you miss a dose of ritomune tablet. If you miss a dose of ritomune 100 mg tablet, take it as soon as possible. However, if it is almost time for your next dose, skip the missed dose and go back to your regular schedule. Do not double the dose. Backed by a diligent team of professionals, we have been able to process and supply an outstanding range of Viraday Tablet. How to use viraday tablettake this medicine in the dose and duration as advised by your doctor. Swallow it as a whole. Do not chew, crush or break it. Viraday tablet is to be taken empty stomach. How viraday tablet worksviraday tablet is a combination of three antiviral medicines: emtricitabine, tenofovir disoproxil fumarate and efavirenz. They work by preventing hiv (virus) from multiplying, thereby reducing the amount of virus in your body. They also increase the cd4 cell (white blood cells that protect against infection) count in your blood. 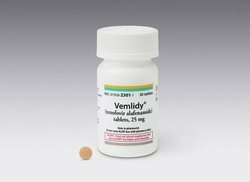 Viraday tablet related warningsalcoholcautiontaking efavirenz with alcohol may cause liver problems.Pregnancyweigh risks vs benefitsviraday tablet is unsafe to use during pregnancy. There is positive evidence of human fetal risk, but the benefits from use in pregnant women may be acceptable despite the risk, for example in life-threatening situations. Please consult your doctor.Lactationviraday tablet is probably safe to use during lactation. Limited human data suggests that the drug does not represent a significant risk to the baby.Drivingviraday tablet may make you feel dizzy, sleepy, tired, or decrease alertness. If this happens, do not drive.Kidneyviraday tablet is probably safe to use in patients with kidney disease. Limited data available suggests that dose adjustment of viraday tablet may not be needed in these patients. Please consult your doctor.Liverviraday tablet is probably safe to use in patients with liver disease. Limited data available suggests that dose adjustment of viraday tablet may not be needed in these patients. Please consult your doctor. You have been prescribed dinex ec 400mg tablet for the treatment of chronic hepatitis b virus (hbv) infection. Dinex ec 400mg tablet may cause dizziness or sleepiness. Don't drive or do anything requiring concentration until you know how it affects you. (Tenofovir 300mg + emtricitabine 200mg + efavirenz 600mg). Emtricitabine + tenofovir disoproxil fumarate + efavirenz usesEmtricitabine+Tenofovir disoproxil fumarate+Efavirenz is used in the treatment of HIV infection. This is a combination of three antiviral medicines Emtricitabine, Tenofovir disoproxil fumarate and Efavirenz. They work by preventing HIV (virus) from multiplying, thereby reducing the amount of virus in your body. They also increase the CD4 cell (white blood cells that protect against infection) count in your blood. Nausea, Diarrhoea, Headache, Nightmare, Depression, Dizziness, Flatulence, Drowsiness, Insomnia (difficulty in sleeping), Rash. 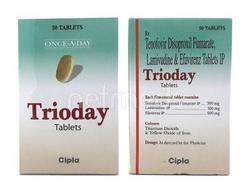 Uses Of Trioday Tablet Trioday Tablet Is Used In The Treatment Of Hiv Infection. Trioday Tablet Side Effects Common. How To Use Trioday Tablet Take This Medicine In The Dose And Duration As Advised By Your Doctor. Swallow It As A Whole. Do Not Chew, Crush Or Break It. Trioday Tablet Is To Be Taken Empty Stomach. Taking This Medicine With Food Increases The Risk Of Side Effects.How Trioday Tablet Works Trioday Tablet Is A Combination Of Three Antiviral Medicines: Lamivudine, Tenofovir Disoproxil Fumarate And Efavirenz. They Work By Preventing Hiv (Virus) From Multiplying, Thereby Reducing The Amount Of Virus In Your Body. They Also Increase The Cd4 Cell (White Blood Cells That Protect Against Infection) Count In Your Blood.Trioday Tablet Related Warnings Alcohol Caution Taking Efavirenz With Alcohol May Cause Liver Problems.Pregnancy Weigh Risks Vs Benefits Trioday Tablet Is Unsafe To Use During Pregnancy. There Is Positive Evidence Of Human Fetal Risk, But The Benefits From Use In Pregnant Women May Be Acceptable Despite The Risk, For Example In Life-Threatening Situations. Please Consult Your Doctor.Lactation Trioday Tablet Is Probably Safe To Use During Lactation. Limited Human Data Suggests That The Drug Does Not Represent A Significant Risk To The Baby.Driving Trioday Tablet May Make You Feel Dizzy, Sleepy, Tired, Or Decrease Alertness. If This Happens, Do Not Drive.Kidney Trioday Tablet Is Probably Safe To Use In Patients With Kidney Disease. Limited Data Available Suggests That Dose Adjustment Of Trioday Tablet May Not Be Needed In These Patients. Please Consult Your Doctor.Liver Trioday Tablet Is Probably Safe To Use In Patients With Liver Disease. Limited Data Available Suggests That Dose Adjustment Of Trioday Tablet May Not Be Needed In These Patients. Please Consult Your Doctor. 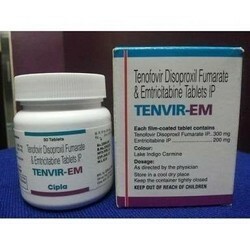 Uses of tenvir-em tablettenvir-em tablet is used in the treatment of hiv infection. How to use tenvir-em tablettake this medicine in the dose and duration as advised by your doctor. Swallow it as a whole. Do not chew, crush or break it. Tenvir-em tablet is to be taken with food.How tenvir-em tablet workstenvir-em tablet is a combination of two anti-hiv medicines: emtricitabine and tenofovir disoproxil fumarate. They prevent hiv (virus) from multiplying, thereby reducing the amount of virus in your body. They also increase the cd4 cell (white blood cells that protect against infection) count in your blood.Tenvir-em tablet related warningsalcoholinteraction with alcohol is unknown. Please consult your doctor.Pregnancyprobably safetenvir-em tablet is probably safe to use during pregnancy. Animal studies have shown low or no adverse effect on the foetus, however, there are limited human studies. Please consult your doctor.Lactationtenvir-em tablet is probably safe to use during lactation. Limited human data suggests that the drug does not represent a significant risk to the baby.Drivingtenvir-em tablet may make you feel dizzy, sleepy, tired, or decrease alertness. If this happens, do not drive.Kidneycautiontenvir-em tablet should be used with caution in patients with kidney disease. Dose adjustment of tenvir-em tablet may be needed. Please consult your doctor.Livertenvir-em tablet is probably safe to use in patients with liver disease. Limited data available suggests that dose adjustment of tenvir-em tablet may not be needed in these patients. Please consult your doctor. Nausea, Vomiting, Diarrhoea, Flatulence, Insomnia (difficulty in sleeping), Headache, Depression, Rash. 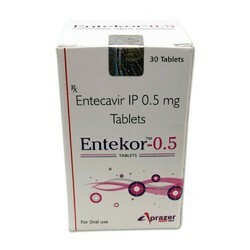 Uses of Nevir Tablet ERNevir 400 mg Tablet ER is used in the treatment of HIV infection. How to use Nevir Tablet ERTake this medicine in the dose and duration as advised by your doctor. Swallow it as a whole. Do not chew, crush or break it. Nevir 400 mg Tablet ER may be taken with or without food, but it is better to take it at a fixed time. How Nevir Tablet ER worksNevir 400 mg Tablet ER prevents the multiplication of HIV virus in human cells. Thus stops the HIV virus from producing new viruses. 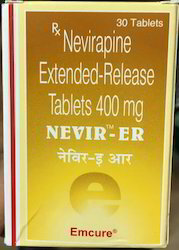 In Depth Information on Nevir Tablet ERExpert advice for Nevir Tablet ER. Do not start or continue nevirapine, if you are allergic to nevirapine, or to any of the other ingredients of this medicine. Do not start or continue nevirapine, if you have severe skin rash or skin rash with fever, blistering, mouth sores, inflammation of the eye, swelling of the face, general swelling, shortness of breath, muscle or joint pain, general feelings of illness or abdominal pain. Do not start or continue nevirapine if you have inflammation of the liver (hepatitis), severe liver disease or have a high CD4 cell count. Avoid using nevirapine if you are pregnant, planning to become pregnant, or are breastfeeding. Nevir Tablet ER related warningsSpecial precautions for Nevir Tablet ERAlcoholInteraction with alcohol is unknown. Please consult your doctor.PregnancyPROBABLY SAFENevir 400 mg Tablet ER is probably safe to use during pregnancy. Animal studies have shown low or no adverse effect on the foetus, however, there are limited human studies. Please consult your doctor.LactationNevir 400 mg Tablet ER is probably safe to use during lactation. Limited human data suggests that the drug does not represent a significant risk to the baby.DrivingDo not drive unless you are feeling well. You may experience fatigue while taking Nevir 400 mg Tablet ER and this may affect your ability to drive.KidneySAFENevir 400 mg Tablet ER is safe to use in patients with kidney disease. No dose adjustment of Nevir 400 mg Tablet ER is recommended. However, inform your doctor if you have any underlying kidney disease.LiverCAUTIONNevir 400 mg Tablet ER should be used with caution in patients with liver disease. Dose adjustment of Nevir 400 mg Tablet ER may be needed. Please consult your doctor. Use of Nevir 400 mg Tablet ER is not recommended in patients with moderate to severe liver disease. Regular monitoring of liver function tests is advised while you are taking this medicine. 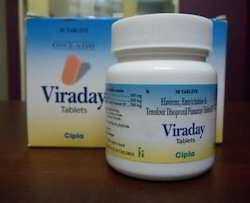 Tenofovir disoproxil fumarate is used in the treatment of HIV infection and chronic hepatitis B virus (HBV) infection. 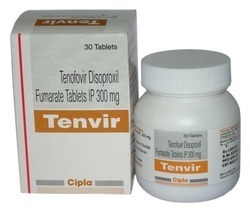 Tenofovir disoproxil fumarate is an antiviral medication. It prevents the multiplication of the virus in human cells. This stops the virus from producing new viruses and clears up your infection. 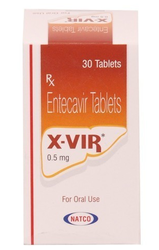 Entecavir is an antiviral medication. It prevents the multiplication of the virus in human cells. This stops the virus from producing new viruses and clears up your infection. A headache, Nausea, Dizziness, Tiredness. 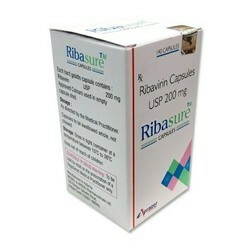 Ribavirin is used in the treatment of chronic hepatitis C virus (HCV) infection. It is used in combination with interferon. How ribavirin worksRibavirin is an antiviral medication. It prevents the multiplication of virus in human cells. This stops the virus from producing new viruses and clears up your infection. Common side effects of ribavirinInjection site pain, Stomach pain. Uses of X Vir Tablet:X Vir 0.5 mg Tablet is used in the treatment of chronic hepatitis B virus (HBV) infection. How to use X Vir Tablet:Take this medicine in the dose and duration as advised by your doctor. Swallow it as a whole. Do not chew, crush or break it. X Vir 0.5 mg Tablet is to be taken empty stomach. X Vir Tablet related warnings Special precautions for X Vir TabletAlcohol Interaction with alcohol is unknown. Please consult your doctor.